They also run more than two hundred nature reserves all over the UK in landscapes where rare bird species thrive. Not many people know just how old this famous bird charity is - it was founded in 1889 by a lady called Emily Williamson, in her house in Manchester. Like most charities, one way the RSPB fundraises to support its conservation work is to sell products via an online gift shop. The products are great quality and competitively priced. Their shop categories are listed as ‘Bird Food’, ‘Birds and Wildlife’, ‘Binoculars and Scopes’,’Gifts and Home’, ‘Christmas’ and they also general sales and offers. 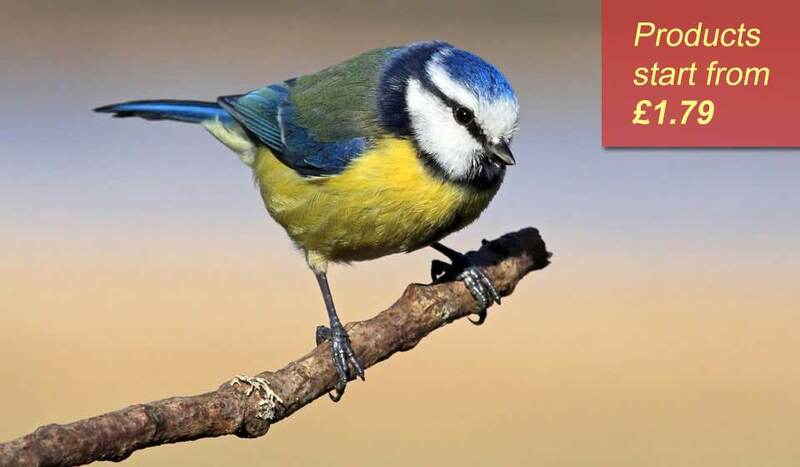 We list below some of the products that you can buy, to give you an idea of what to expect if you visit the main RSPB Gifts site. All sorts of bird food including regular seeds right through to suet, worms and bugs! How much do the gifts cost? We had a quick check over the site and depending on what you want to buy the cheapest item we saw was just £1.50 for a wind up toy, and the most expensive we spotted was a at £699 for an really pro looking pair of HD Binoculars. But, let us assure you they have an amazing choice to sort all budgets in between, and the the expensive items are the fewer, most being very competitively priced. We recommend you check out their shop especially if bird and wildlife conservation are subjects that resonate with you. The RSPB has more than one million members. There are also more than seventeen thousand volunteers.